The 11" inseam Taclite Ripstop Shorts are the consistent choice of law enforcement and tactical operators worldwide. 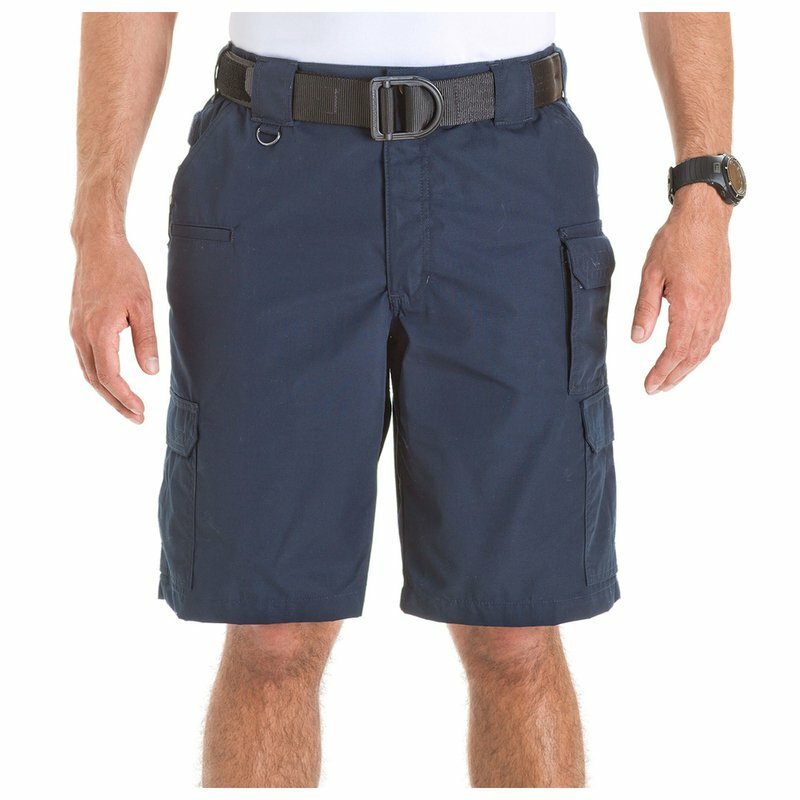 Engineered to provide superior performance in hot and humid climates, the ripstop cargo shorts are crafted from 6.14 oz. poly/cotton ripstop fabric, ensuring durability, breathability, and lasting comfort in the warmest environments. The self-adjusting tunnel waistband ensures a secure and reliable fit that moves with you and an extended inseam offers added lower leg protection, while triple needle reinforcements and 48 individual bartacks ensure maximum durability. Additional features include the signature 5.11 strap and slash pockets at the rear, extra deep front pockets, three thigh-mounted utility pockets, a double thick seat, and a convenient D-ring that holds your keys or ID. When you need premium quality ripstop tactical shorts that provide functionality and performance, 5.11 Taclite Pro Shorts are the only choice.